Many of our new hosting customers begin off their hosting experience at Crucial with a Cloud Web Hosting package, since it offers everything a small business would need to get a presence online; website hosting, email accounts, MySQL databases and 24×7 Email Support. Some of these small businesses run eCommerce stores or have hosted software that manages everything from customer records through to surveys and data collection. In some instances the growth and success of the customer’s website means they inevitably will need to upgrade to something with more functionality, scalability and oomph. As we’ve been offering Virtual Servers in Australia since 2008, this is something we can easily cater for. 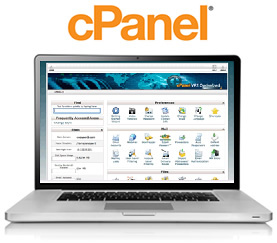 Our Cloud Web Hosting packages are hosted on a web control panel commonly known as cPanel. What once started as custom software for a now defunct hosting company, cPanel has independently grown to become the most deployed Linux-based control panel in the world. cPanel is partly the reason why we can offer such comprehensive and feature-rich web hosting packages. Factor in the enterprise grade HP Blade & SAN hardware we use and you some of the best value hosting in Australia. One of cPanel’s greatest assets is the ease in which an account can be migrated from one server to another. In fact, we handle up to one hundred of cPanel migrations each month! Whether you’re migrating from another webhost to Crucial, or upgrading to a Linux VPS; our Support team can migrate your cPanel domain for you. When a customer contacts our Sales team and advises that they think it’s time to upgrade to a VPS, we assess their performance requirements and traffic figures and provide general quote for a suitable VPS. Of course site traffic and database usage can increase sometimes unexpectedly, so our Cloud Linux VPS is ideal for offering the scalability you need during these times. In order to have the migration handled by our Support team, customers must purchase the Server Management option at only $50.00/month, this covers everything from initial cPanel/WHM 11 installation and configuration, through to the migration of the cPanel account and troubleshooting any issues along the way (although these are usually identified and fixed with minimal time delays). An advantage of purchasing a cPanel-based Linux VPS with Crucial is that you’ll get the advantage of having a VPS optimised version of cPanel. VPS optimised can improve the individual performance of your cPanel account by up to 40%. Having a Cloud VPS can instantly provide you with much greater scope and flexibility with your hosting solution. By giving yourself the ability to control the performance by increasing resources, and improving the speed of the website using LAMP stack optimisation (optimising MySQL, Php etc. ), you can easily see the value in switching to a Cloud VPS for a longer term option. The on-going management of the server can be easily covered by retaining the Server Management option, our Technical Support team have decades of cPanel experience between them and are always willing to go that extra mile for you around the clock, 365 days a year. If you’d like to explore the VPS options available to you, or would simply like to know more about your hosting solution contact our Support team today.